Several years ago, I went to visit my friend Sara in Kansas City with some girlfriends, and we went out to dinner at this Italian place called Garozzo’s. On the way there, Sara raved about the bread dipping oil. 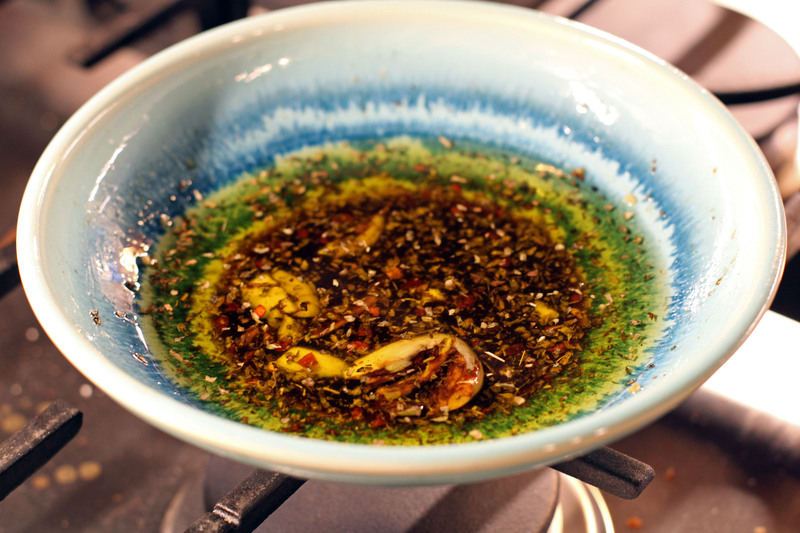 WAIT TILL YOU DIP YOUR BREAD IN THAT OIL… OMG. And I chuckled a little, thinking, this restaurant is famous for their bread dipping oil? Like THAT’S what put them on the map? But alas, I was eyes-rolled-up-to-heaven when I took my first delectable bite of warm, crusty bread, dipped in that herby, slutty oil. I have no idea what the secret ingredient was, what made it so amazing, but I can tell you that I have never had anything like it since. I am pretty sure we ordered extra bowls of it, and more bread, because you know, we foodies and all. So, one day, I happened upon //this recipe// for Italian Bread Dipping Oil, and I thought HEY THAT LOOKS LIKE THAT STUFF I ATE AT THAT RESTAURANT IN KC. And you know, I HAD to try it, so, I pinned it and promptly got around to making it about 2,000 years later. It wasn’t exactly like the heaven in a bowl in KC, but it was pretty darn delicious. I omitted the cheese here, and I used dried herbs instead of fresh, and I probably went a little heavy-handed on the balsamic bc duh balsamic, and it was very, very tasty. I would highly recommend whipping this up to go with your baguette at your next pasta dinner. You probably have all the ingredients on hand anyway!